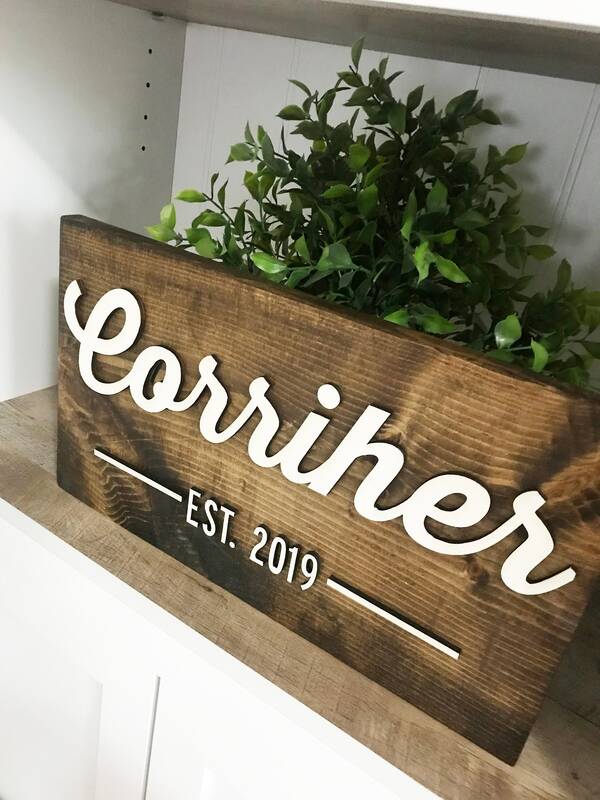 Family Wood Plank Sign 9" X 16"
Family Plank Wood Sign with 3D raised letters. 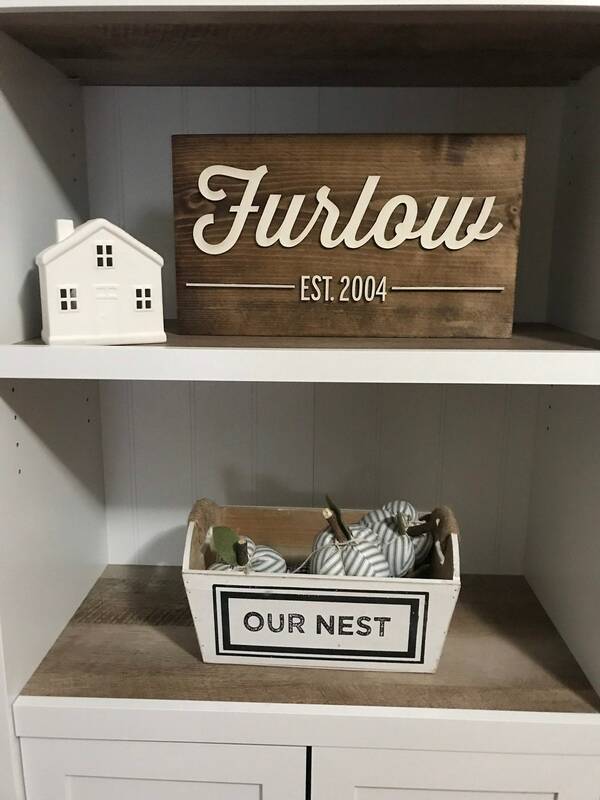 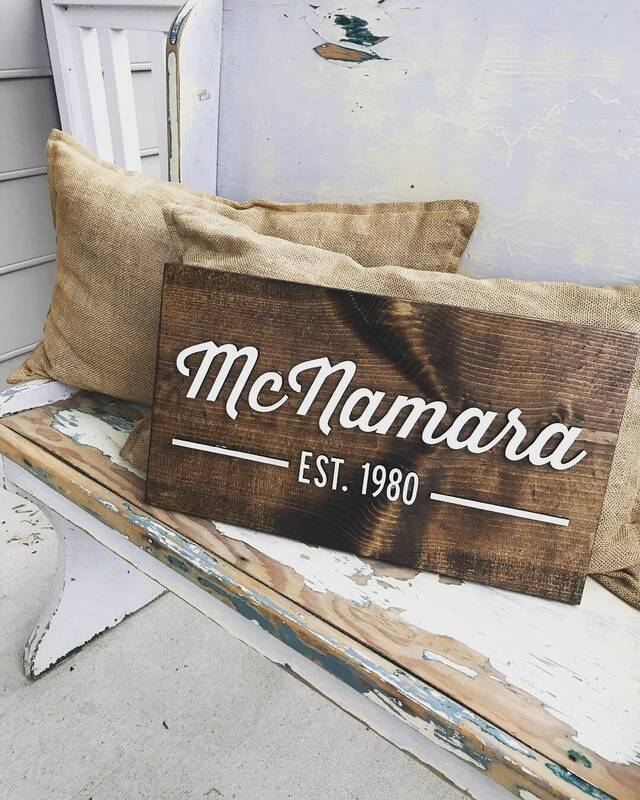 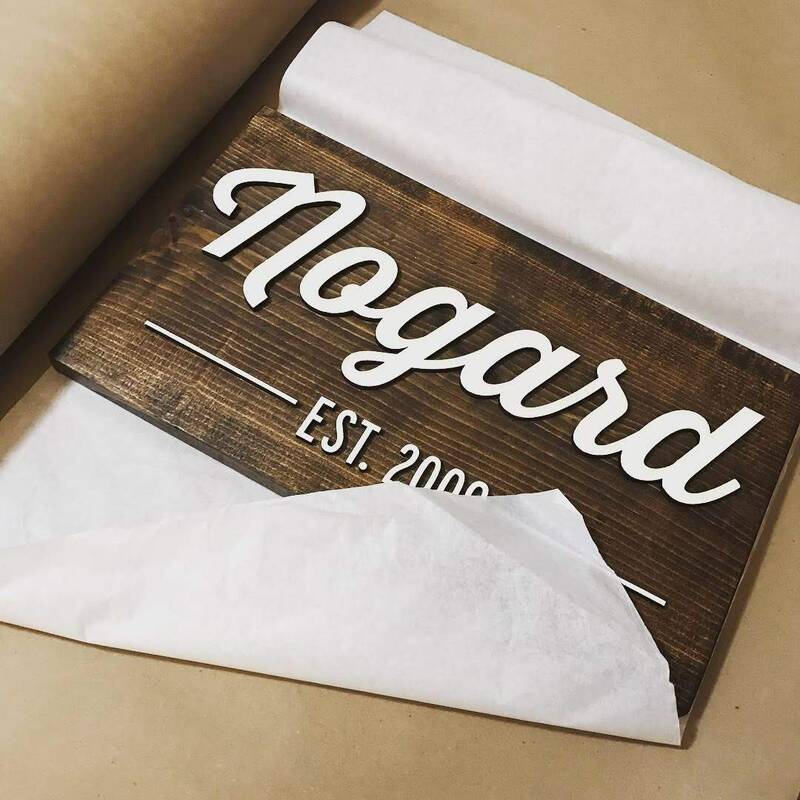 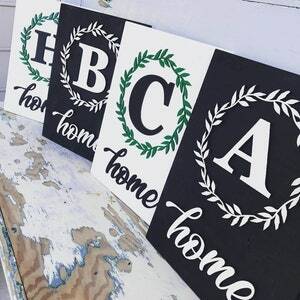 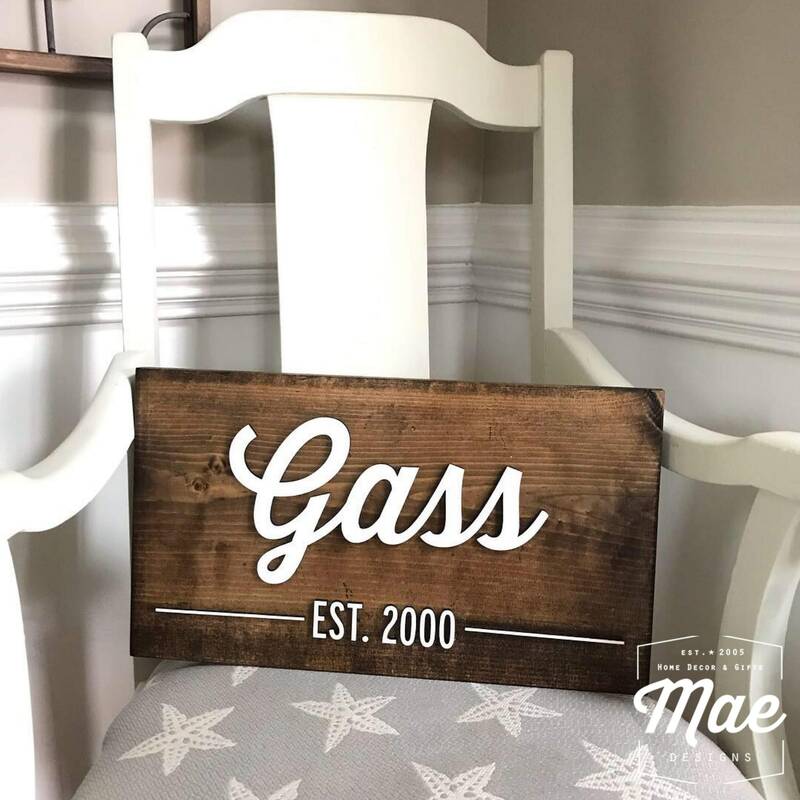 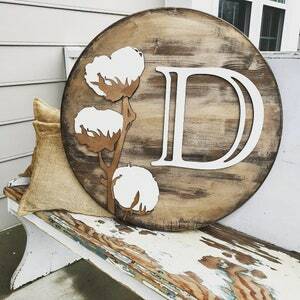 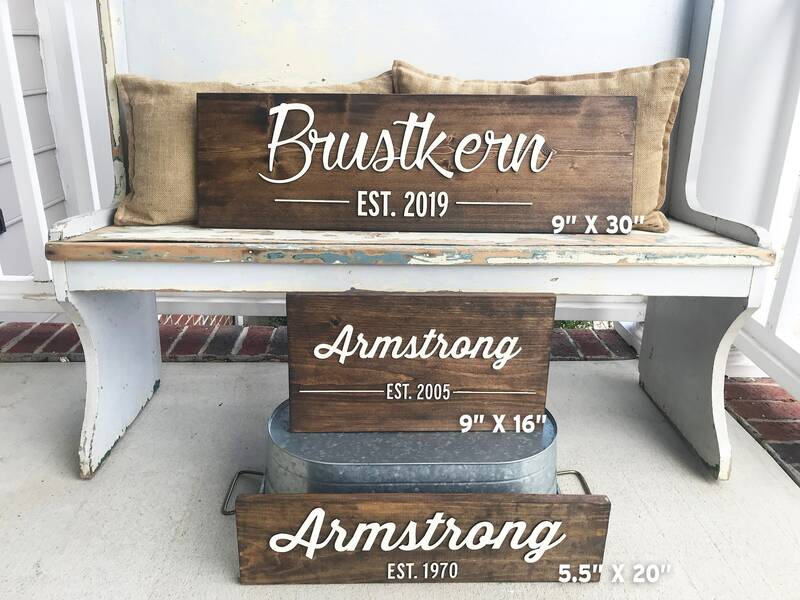 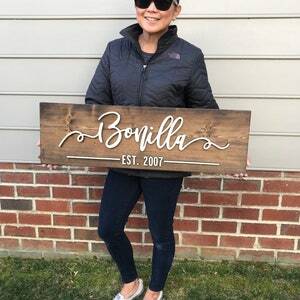 This farmhouse style sign measures 9" x 16". 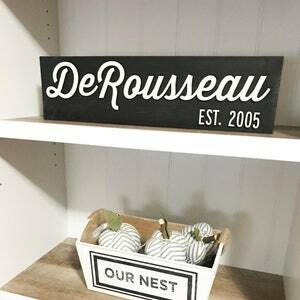 The last name will be cut out and attached to the sign to give it a 3-dimensional look. 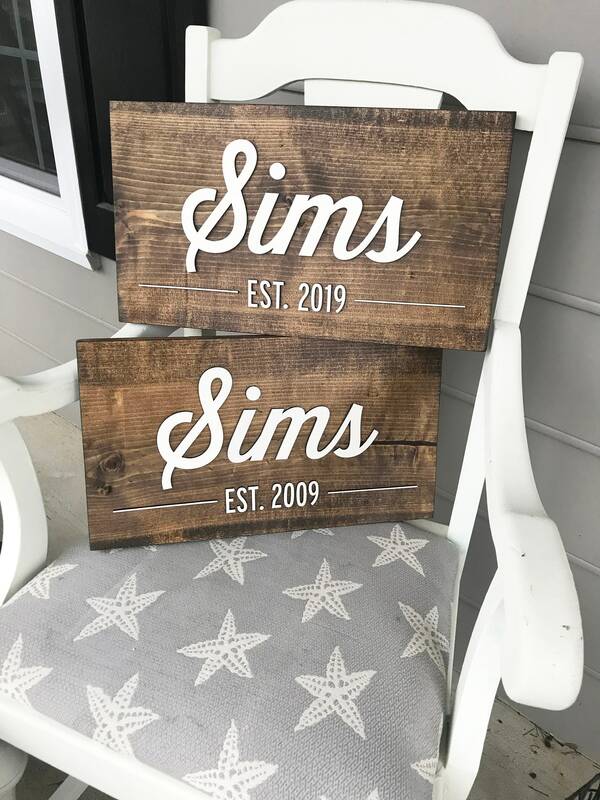 Family Wood Plank Sign 5.5" X 20"